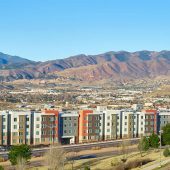 Construct a modern, student apartment community located directly across the street from the University of Colorado Colorado Springs (UCCS). 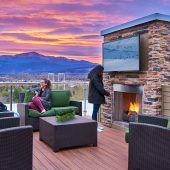 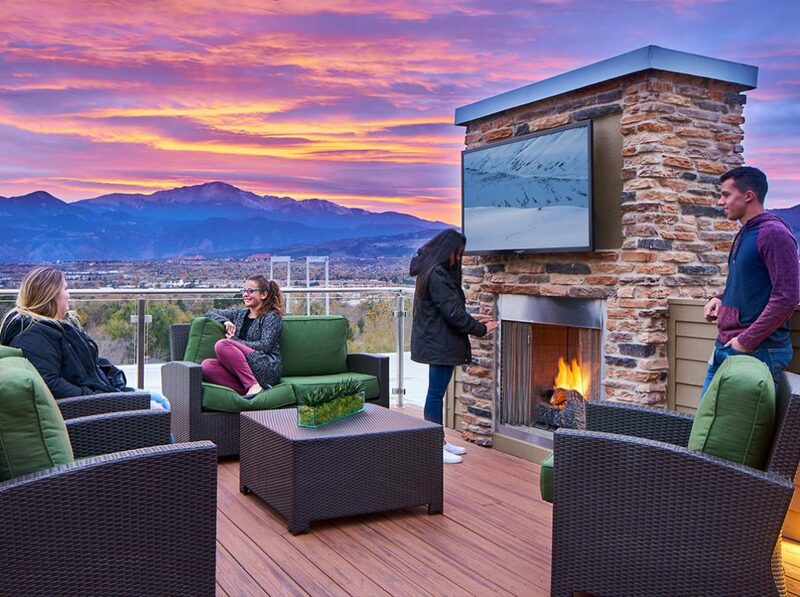 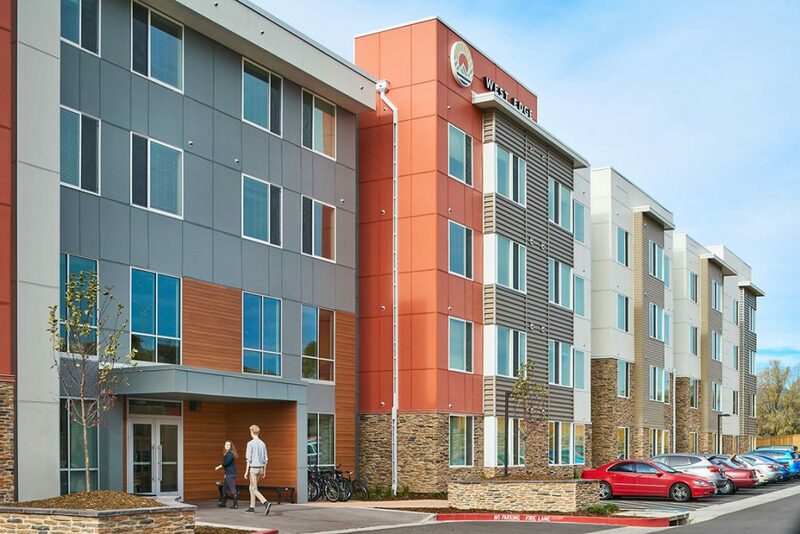 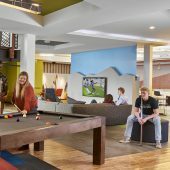 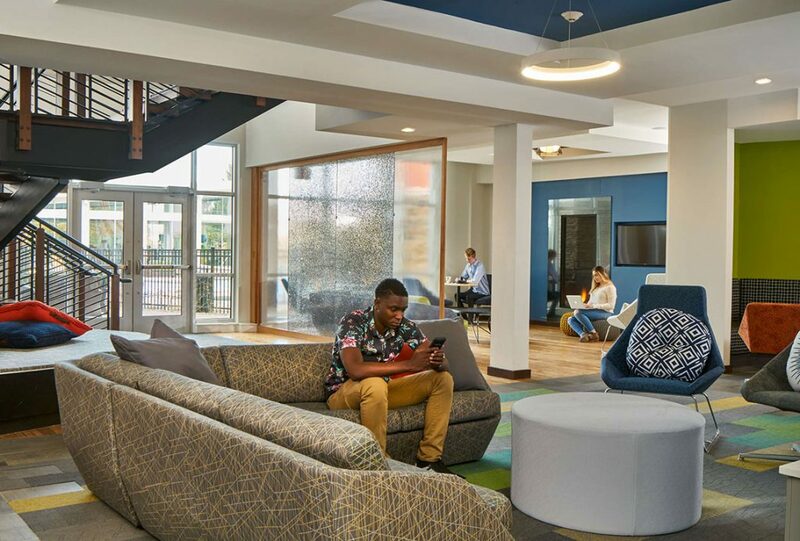 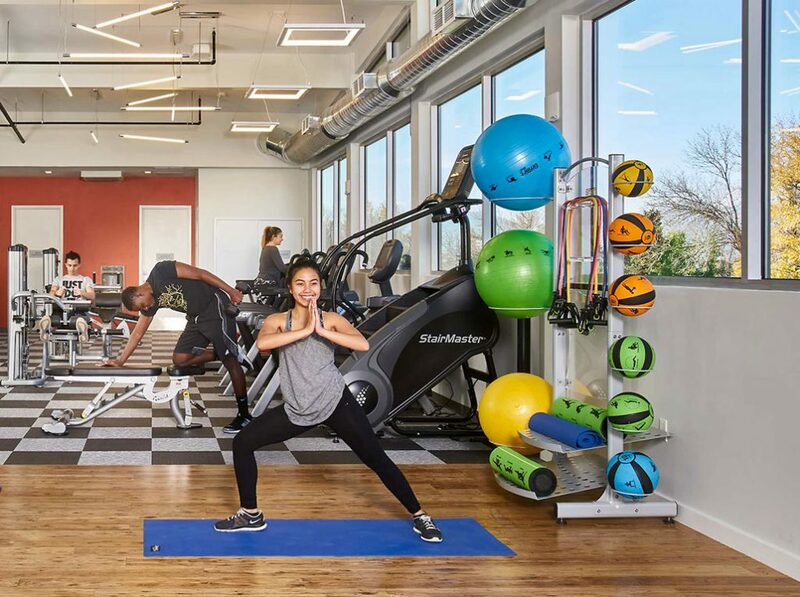 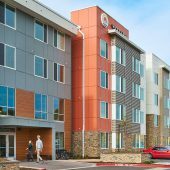 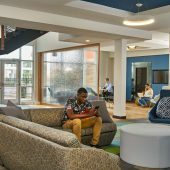 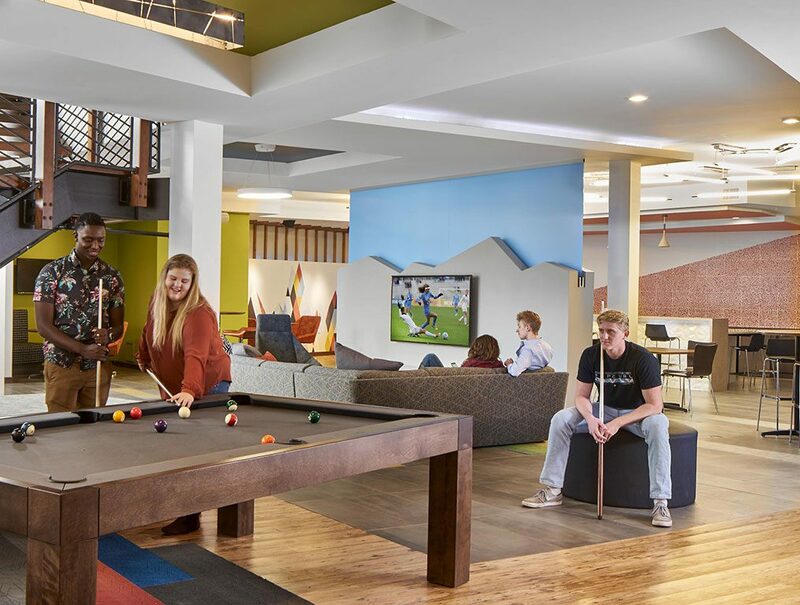 Gilbane Development Company has developed a new new, state-of-the-art student housing community located directly across the street from the University of Colorado Colorado Springs (UCCS) academic campus and consisting of 621 beds in 187 units. 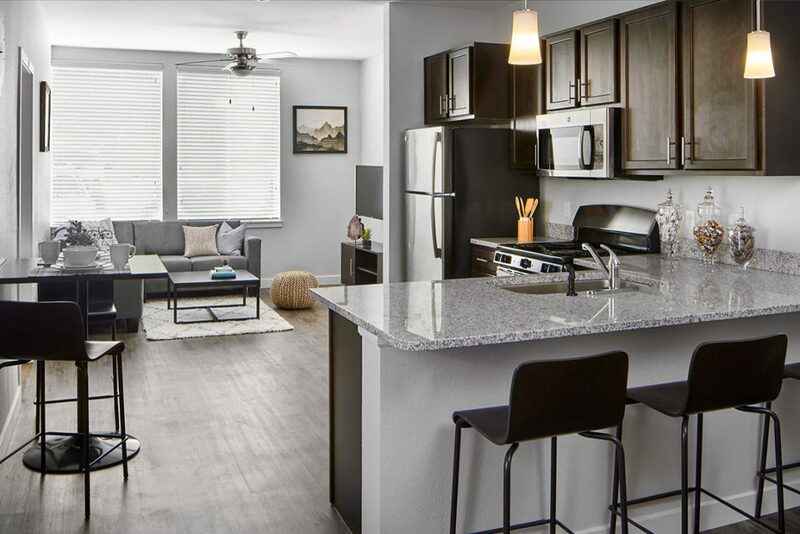 West Edge offers 8 different floor plans including studio, one, two, three, four, and six-bedroom apartments all with in-unit washer/dryer, walk-in closets, stainless steel appliances, granite countertops, and flat screen TVs. 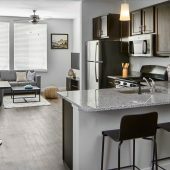 Each resident has a private bedroom with an adjoining private bathroom. 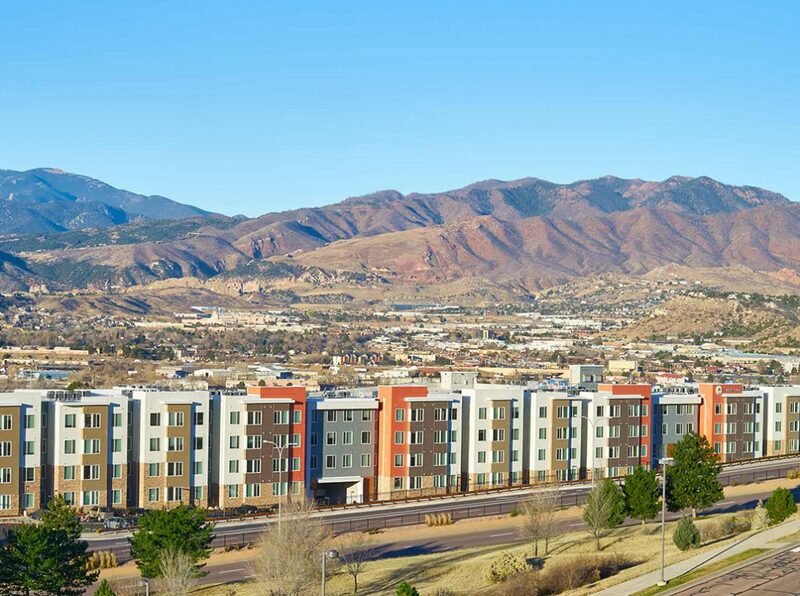 The project features a best in class amenity package including a spectacular rooftop sky lounge with unparalleled views of the nationally recognized Pikes Peak mountain range, a clubhouse, study rooms, tech center with high powered computers and free printing, a heated-salt water pool; landscaped courtyard with sundecks; an outdoor kitchen with grilling stations and multiple outdoor lounges with community fire pits; and, a state-of-the art fitness lodge with tanning, free weights & cardio equipment, yoga studio, bouldering wall, and full-size basketball court.